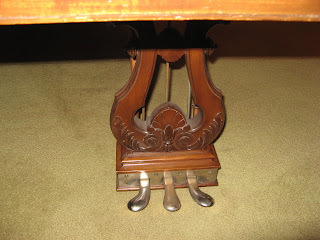 the "Steinway" harp logo above the pedals...all in all my piano is a marvelous instrument. I hope to play it for many more years. 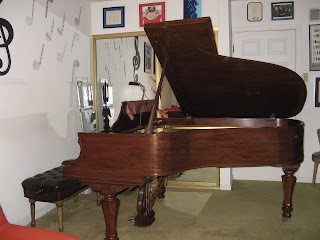 We are having a party for our Steinway Model A piano as it is now 100 years old. I truly believe that they do not make them like they used to. 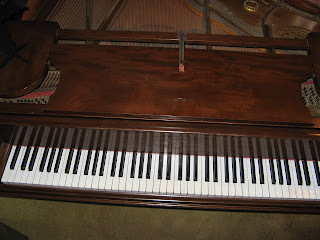 Our piano left the Steinway factory in Queens, New York in 1908 and was sent to a family in Portland, Oregon where the piano resided until the 1930s. The piano was then sold to a family in San Francisco where it lived in a beautiful Victorian mansion in the Pacific Heights neighborhood. We bought the piano in the 1990s and moved it across town to the foggy outer regions of Mount Davidson. Our Model A has most of its original parts and a magnificent art case. 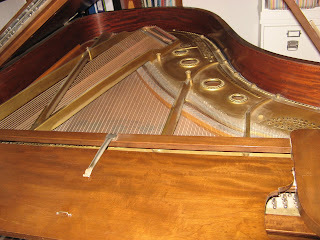 Some of the ivory keys, however, are chipped and stained, and the instrument could use some restorative work, but in general it is still beautiful in both sound and body. Happy 100th Birthday Steinway Model A! Matisse coins the phrase "Cubism"
Chicago beats Detroit to win the World Series! The Ford Motor company produces the first Model "T"
And the Steinway Factory in Queens, New York produces our Model A Piano!